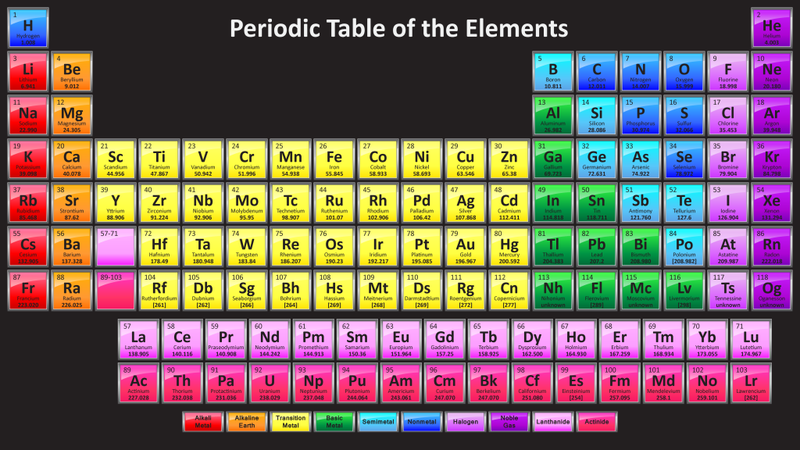 Beginning in the year 2016, the periodic table gained all 118 blocks filled with element names and symbols! 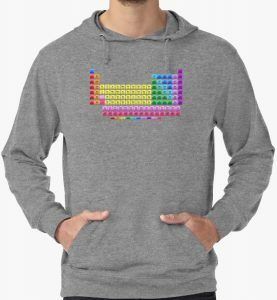 Here’s a colorful periodic table you can print, to make handouts, posters, or study guides. Here’s the table with the “white” background. Actually, it’s transparent, so if you print it on colored paper or fabric, the color will show through. There’s also a PDF of this table you can download with a transparent background. This image is gigantic, intended to look great even on 4K monitors. The image is smaller than the file (so the page will load), so to get the full-sized version, click the link for the color of image you prefer. Then you can download or print it. We’ve teamed up with Redbubble to offer this table and the individual element tiles on a variety of products, including full-size posters, t-shirts, coffee mugs, leggings, you name it. You can find this table (and many more) at our shop. If you see something on the site you’d like, but can’t find it on the shop, just post a note and we’ll fix you up. Umm… can’t get into the Table with the black background, message says it can’t connect. Please explain the newest names for elements 117 and 118? Thanks! Sorry, this is fixed now. Thanks for letting me know! I can’t find a link to a PDF for the black background table. Is the image file that comes up HD or a reduced one? Do you by any chance have a black and white version (PDF maybe?) of your updated 2016-2017 periodic table with 118 element names please? I am hoping to print out a very large wall poster (50″ wide by 36″ high) for my new classroom! Thank you! hi, do have classic black and white format?